This stunning Coal Creek Ranch home has been completely remodeled inside & out! 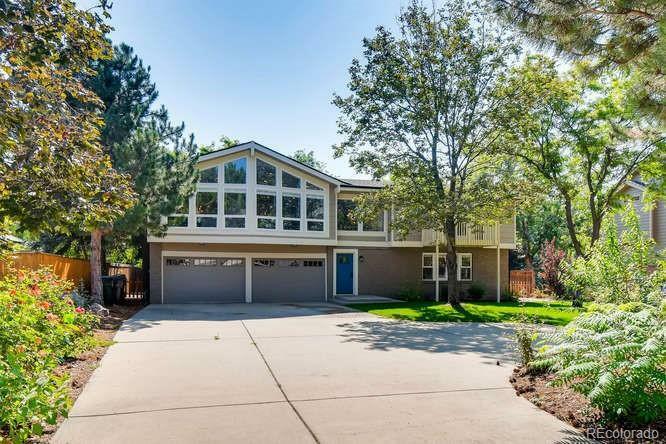 Rare find in desirable, highly sought-after neighborhood; 1min to Coal Creek Golf Course, 5min to downtown Louisville, 15min to Boulder and only 30min to downtown Denver! Unique open concept layout with kitchen/dining/3 bed up, family rm & 2 bed main fl. Bright, beautiful, luxurious & modern; high-end custom finishes, filled w/natural light, vaulted ceilings in huge kitchen/living space w/fireplace and giant windows. Kitchen has 2 hammered copper sinks w/disposals, granite & quartz counters, & wine cooler. House sits back on 1/4 acre lot w/giant, mature trees, fully fenced back yard, & huge back deck over covered patio; perfect for bbqs & entertaining! This is one of the best lots in the neighborhood w/gorgeous trees, plush lawn, and views of the golf course. True 2-story w/5 beds above grade, monster garage & full unfinished basement! Make this your dream home!